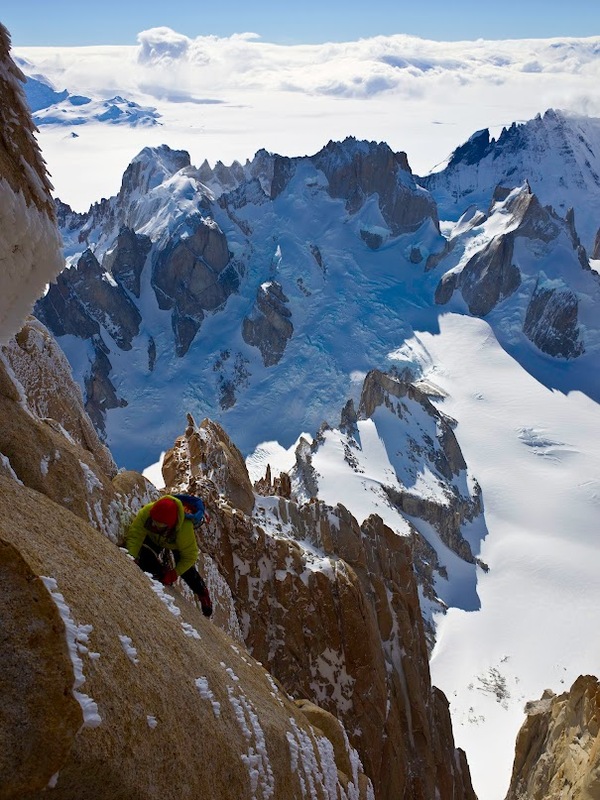 I finally managed to summit Fitz Roy in Patagonia, climbing the classic "Supercanaleta" with David Gladwin (UK) and Kim Ladiges from Tasmania. 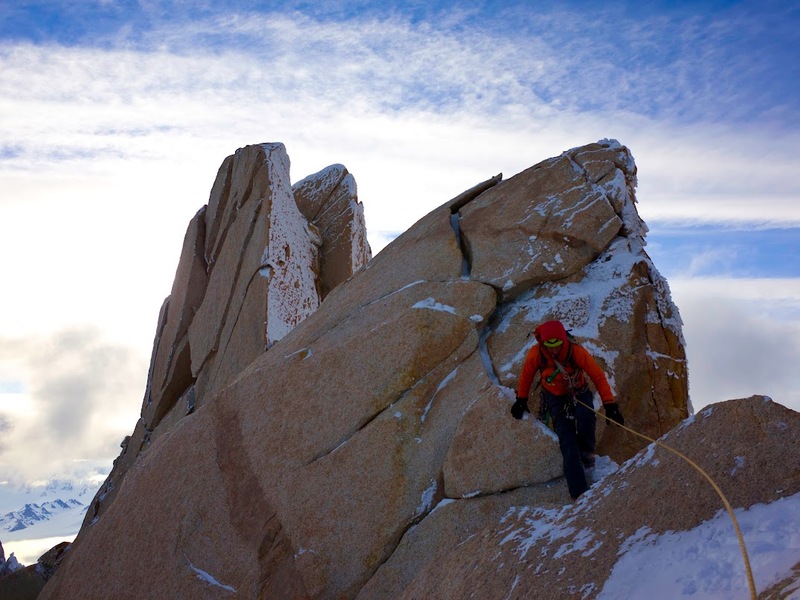 Both of these guys are really solid alpine climbers and it was a great pleasure to climb with them. 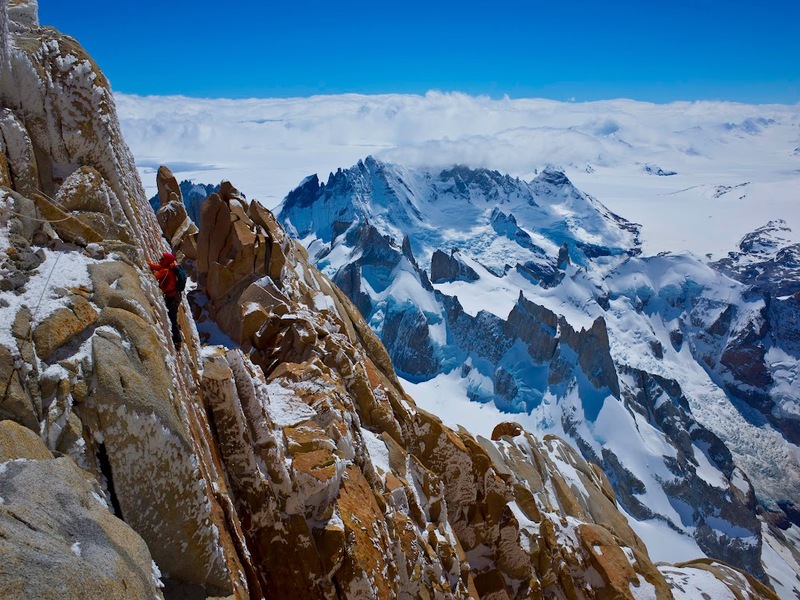 This mountain has been a project for me on four trips to Patagonia, but due to miserable weather and bad climbing conditions it was not until now that it all came together for a successful ascent. We had a fantastic climb despite it being a really cold day. 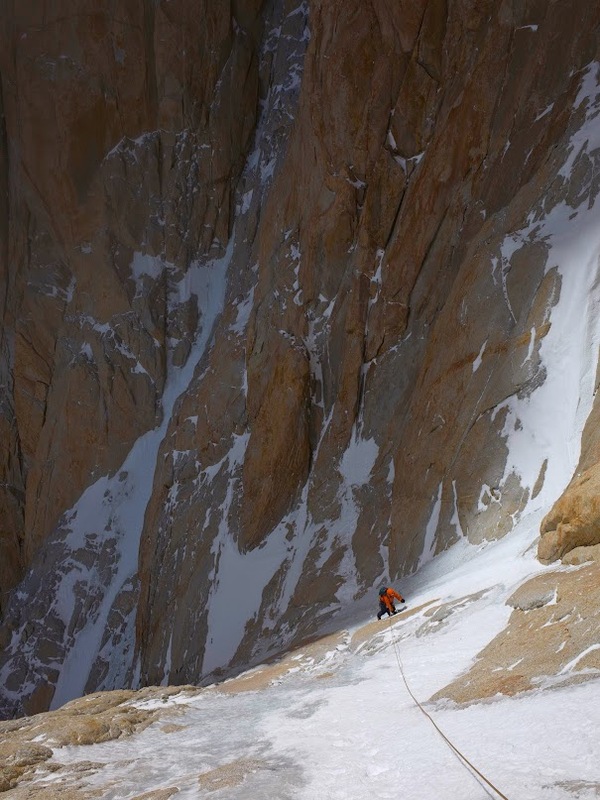 Several teams turned back that day after having climbed the initial couloir, because they were too cold to continue. Luckily we felt good about going all the way to the top and descended the direct way back to the base of the climb in an exhausting 33 hour round-trip. 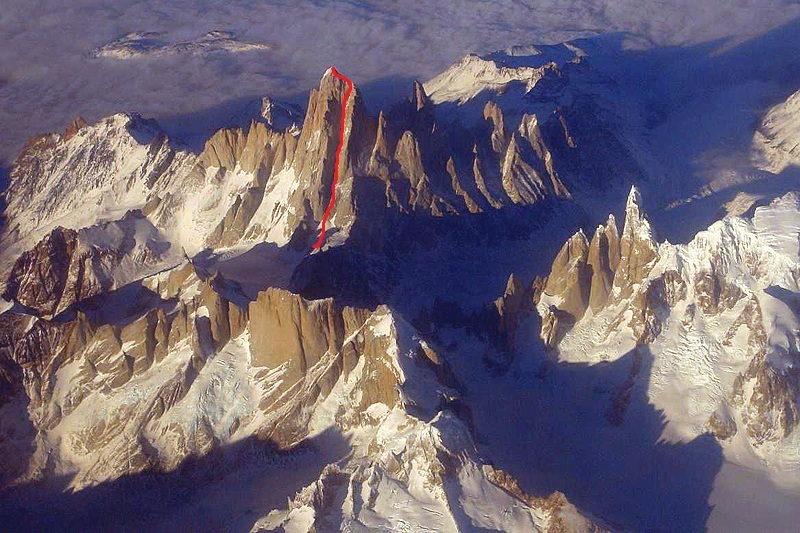 Interestingly, this iconic mountain has not had a Danish ascent until now. Big thanks to Millet, Petzl, Beal, Omega Pacific, Jetboil, Julbo and GripGrab for supplying me with gear for this trip.